Come on Friday to enjoy one of our famous Bloody Marys! Hi and welcome to The Hamlet Pub in East Millinocket, Maine. Next time you are searching for a great place to hang out, join Wakine, Joyce, Nicole, Amber and the rest of the crew for an unforgettable time in East Millinocket. We go out of our way to see that you and your friends have a wonderful experience in our cozy establishment. The coldest beer and largest selection of fine wines and liquors are always available at The Hamlet Pub – we have been an East Millinocket favorite for 4 decades and hope to be for 4 more! Don’t forget. Every week ~ IT’S BLOODY MARY FRIDAY fully loaded with shrimp! Also come on down for the Great Glass Giveaway! Get a free glass with purchase of Stella Artois, Stella Apple Cider bottles, 22 oz. Miller Lite, 22 oz. Sam Lager, 16 oz. Blue Moon & 16 oz. Sam Lager Drafts!!! Try one of our pizzas with your favorite toppings – pepperoni, ham, sausage, hamburg, bacon, green pepper, onion, black olives, mushrooms, jalapeños, crushed red pepper or pineapple!!! Our daily happy hour munchies always make it more enjoyable. Try one of our delicious Margaritas! On the rocks or frozen with or without salt. They are very pleasing! So, feel free to grab some fresh pop-corn from our machine or choose from a selection of items for sale including: chips, peanuts or sweet things – and… don’t forget that we normally make something hot for our customers, daily! Also… for free!! Be sure to become a member here at our site! You can sign up for mailings about up-coming events, specials and entertainment features! Look to the right side of the page in the “META” section and “Register!” It also allows you to upload a profile pic and become a member of our “facebook-like” community! Welcome! 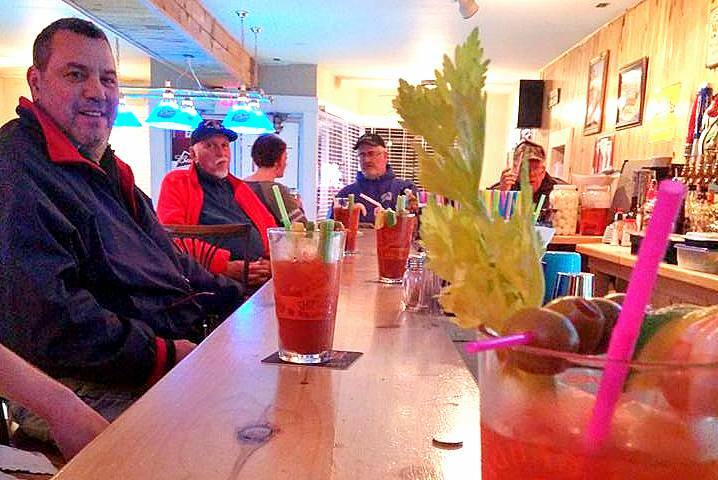 Stop by this winter for a drink after snowmobiling along some of the area trails or after an event at the school! We are here 7 days a week with a smile and, of course, a warm welcome! We want you to enjoy yourself at “The Hamlet Pub”. Come and let us serve you tonight in East Millinocket’s #1 night-spot! Our amazing Truffle Shuffle! 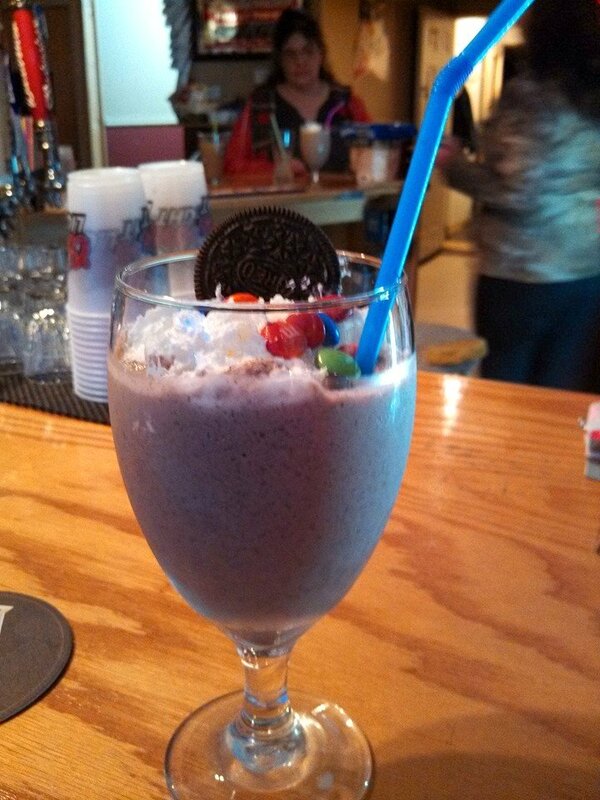 Baileys Irish Cream, vodka, chocolate ice cream, oreo cookies, whipped cream and m&ms… Yum! 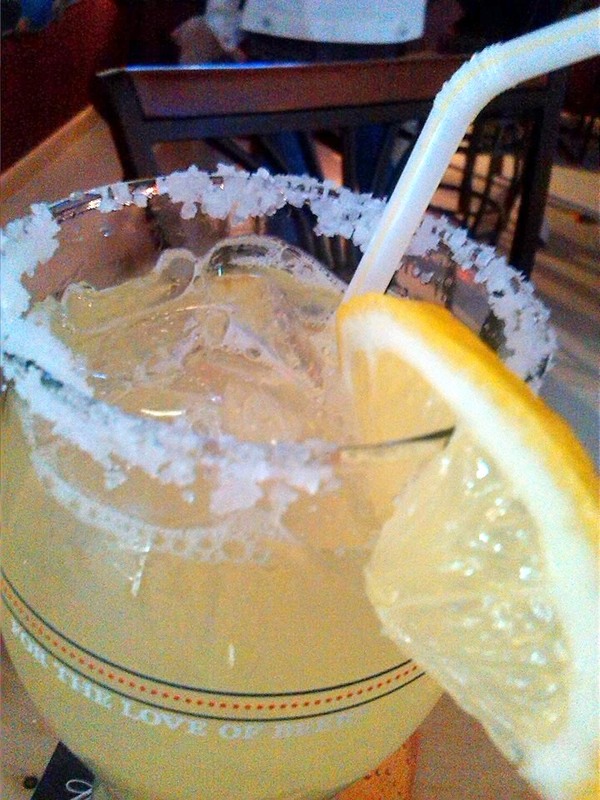 Try one tonight!